Be the next hero of mythology as you brave your way into the pits of the dangerous yet seductive Medusa to garner tons of prizes in Medusa II slot. 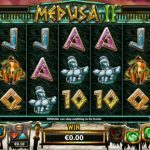 Medusa II slot is another masterpiece created by NYX Gaming through NextGen Gaming, and is the sequel to the first Medusa-themed slot. 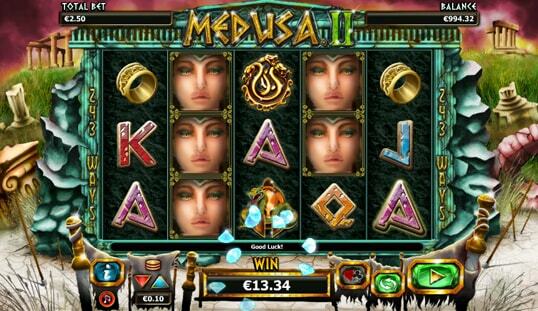 Based on the tales of the treacherous yet sultry goddess Medusa, this online slot game certainly entertains its players with its interesting and adrenaline-pumping gameplay that is like no other. Two words before you spin the reels of life and death: don’t blink! NextGen Gaming is famous for creating avant-garde video slots that seem to be a hybrid of old-school and futuristic slots, and Medusa II is no different. Other than its unique take on the game theme, Medusa II entertains players with its underrated game design. Of course, to further complement its visual artistry, this game is backed by an eerie sound and music effect that greatly enhances the thrill of this game. 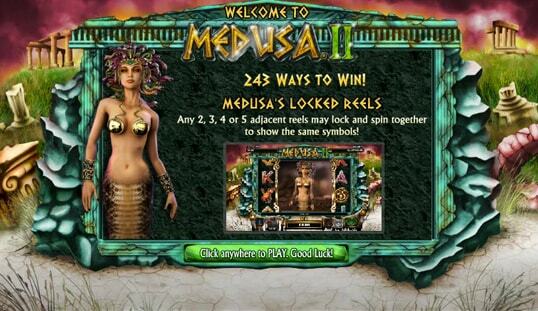 The Medusa II slot is composed of five reels and features 243 pay lines. This structure is now commonly used on modern online slots. Players therefore will not have a difficult time adjusting and familiarizing themselves with the game, regardless if they are beginners or seasoned bettors. The concept of the symbols here has not significantly changed from the first game. You can expect to see Greek artifacts, treasures, and of course, the obscure presence of Medusa. This game also has an auto spin feature that enables you to enjoy the game without the need of repetitive clicks. Having the autoplay function enables you to automatically spin the reels up to 100 times. Meanwhile, gambling your wins can also be activated. Considering that this is an upgrade of the first Medusa slot game, expect to find exclusive features. Basic special symbols like wilds, scatter, turned-to-stoned stacked wilds, and free spins are the special features here. Medusa herself represents the wilds. Each time you land this symbol, you are bound to complete a winning combination since it serves as a substitute to any symbol in the game. Wilds can also appear as a stacked wild, which adds more flavor to your winning streak. Scatters, on the other hand, enable you to unlock the free spins bonus round. By landing three or more of this symbol, you get to have free spins and any scatter wins you make are multiplied by the bet amount. 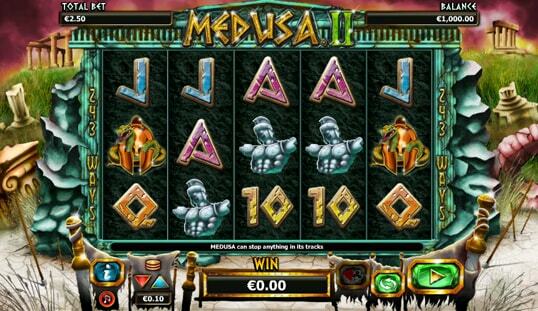 The turn-to-stone stacked wild symbol is Medusa II slot’s special feature. This feature creates a stack of wilds on a particular reel, which is a great upgrade for your bankroll. 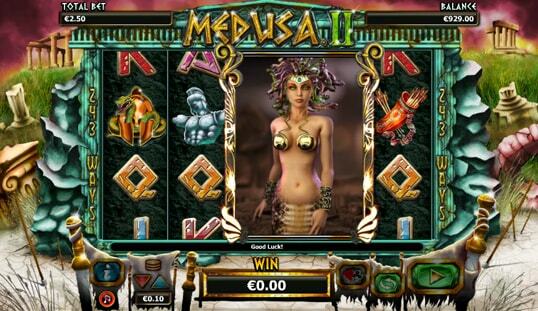 The Medusa II slot is an exhilarating slot game from NYX Gaming. It gives justice to the success of the first Medusa slot and has the potential to become another favorite among slot enthusiasts. 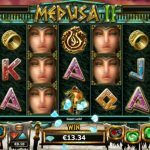 Players seeking for thrilling and exciting slots that reward stacks of prizes will definitely satisfy themselves with Medusa II slot.